Now the benefits of increased dynamics, more quiet background, better bass control, more gain and a sense of better frequency extension can be had for the Reduction phono preamp. 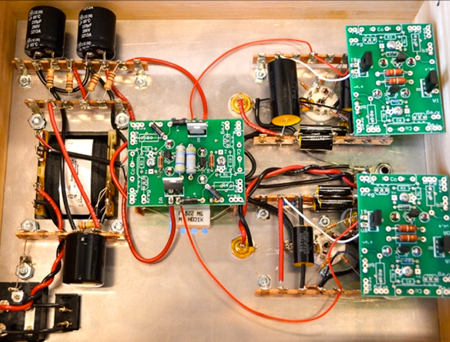 Four Camille Cascode Constant Current Sources (C4S) replace the stock plate load resistors, dramatically increasing the load impedance for approximately 60dB better Power Supply Ripple Rejection (PSRR) and the extraction of the full gain available from the tubes (up from about 36dB to about 40dB). The addition of a Zener shunt voltage regulator lowers the power supply impedance yielding a sense of increased extension of both bass and treble. The components are mounted on three PC boards that are easily installed with standoffs to existing mounting points. 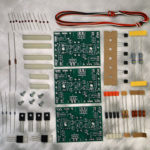 It’s an easy one evening project – simply remove four resistors, install your newly assembled PC boards and you are ready for some serious vinyl listening! This is a great way to beef up the output from moving magnet and high output moving coil cartridges down to about 2.5mV. It’s also a good way help an amp with low gain get a little more signal from your LPs to your speakers than you get with a stock Reduction (for even more gain see our Eros premium phono preamp kit). DISCOUNTS: When you buy 1 > Regular Price: $179.00USD • When you buy 2 or more > Sale Price: $161.10USD • Save: $17.90USD (10%)! 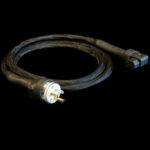 Be the first to review “Integration Upgrade for Reduction Phono Preamp” Click here to cancel reply.